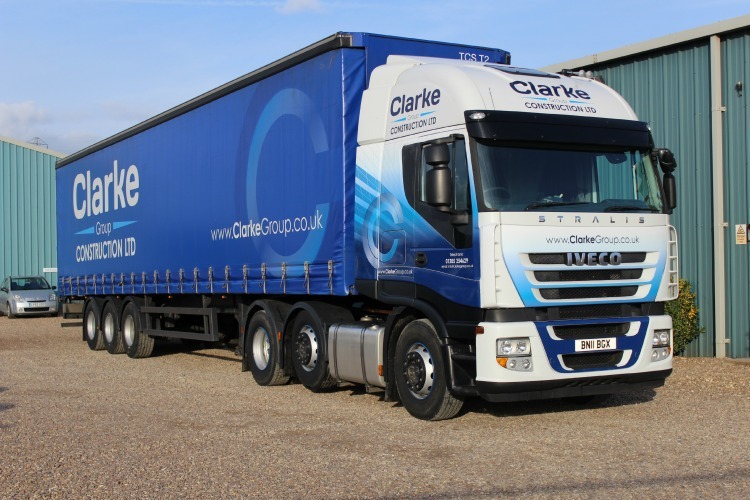 Clarke Group Construction are pleased to roll out our newly branded heavy goods vehicle. 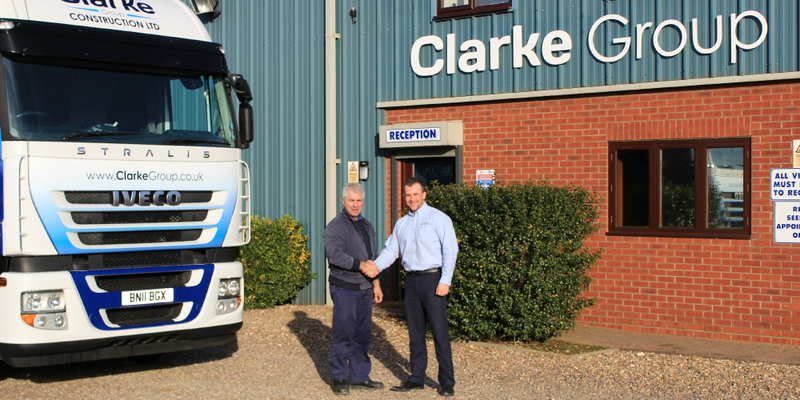 Matthew Chamberlain construction manager hands over the lorry to driver Robert Holmes. Having our own HGV means that we can transport our own goods without being beholden to external haulage contractors so we can receive materials on site when we need them. The lorry is also available for external hire.